There are at least 24,000 different Android devices, and they all have varying hardware components. 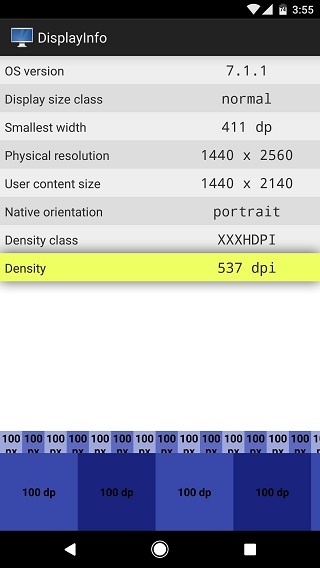 This is why many developers publish several unique variants of their apps, which, among other things, helps accommodate all of the different display sizes and resolutions on Android phones and tablets. When there are multiple variants of an app, the Play Store automatically serves up the correct version for your particular device. But if you're sideloading an app from a site like APKMirror, you'll have to find the right version manually. Most of these types of APKs are categorized by either processor type, or the target DPI value, which represents a device's display density and helps the app know how much content can fit on the screen. So in order to know which APK you should download, you'll have to find your device's DPI class first, and I'll show you how to do that below. 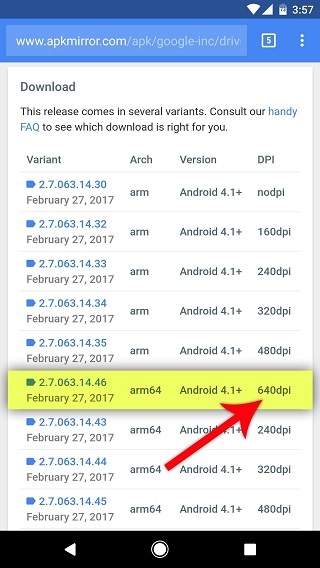 To figure out which variant of an APK you should download, the first thing you'll need to do is find your device's display density value. The easiest way to do this is to install an app called Display Info from developer Stefano Sanna. Next, open the app, then look for the value in the Density field. Write this number down or memorize it, then go to the site where you download your APKs. Then, with APKMirror, look for the DPI field next to one of the available downloads. With other sites, you may have to look at the APK file name to check for any mention of the letters DPI and a preceding number (example: AppName320dpi.apk). Chances are, the numbers won't match up exactly. If this is the case, skip over any DPI variants that are lower than your device's density number, and instead, go with the next one up. As an example, with the Pixel XL's 537 DPI value, you'd want to download the 640 DPI variant of an app instead of the 480 DPI variant. On a final note, sometimes an app will have a "nodpi" variant. This should be compatible with any phone, so if all else fails, just look for a "nodpi" version.